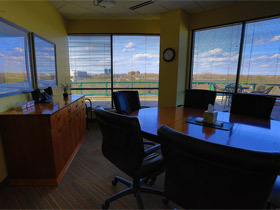 Our office is located in one of the most innovative and effective family law spaces in the country. Opened in January of 2006, the Collaborative Alliance is an office of Executive Suites, primarily made up of other family law professionals, who can help you and your spouse get the best possible results. More and more clients are realizing that they can achieve the best results when their lawyers team up with financial professionals, psychologists and other attorneys to help each couple meet all of their needs. At the Collaborative Alliance, we understand the importance of a holistic mind-set, which is why we bring together a diverse group of professionals to help you along your journey. The concept of a collaborative divorce, which is widely gaining popularity throughout the nation, often means traveling across town to get essential services that contribute to divorce. 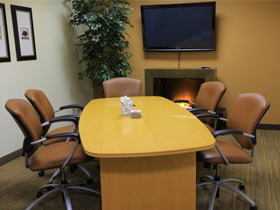 At the Collaborative Alliance, however, we bring the team to you. Divorce affects almost every aspect of a person’s life, from their financial stability to their mental wellbeing. 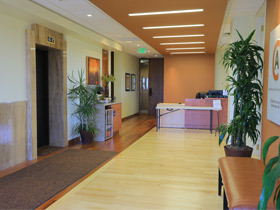 By having a wide variety of independent professionals sharing the same space, we seek to simplify the process of wellness. As more and more clients saw the advantages of using a variety of collaborative professionals, it became increasingly clear that there would be even greater benefits if many of those professionals could office in the same office suite. The idea of “bringing the team together” in one office was a dream held by many local professionals for many years. 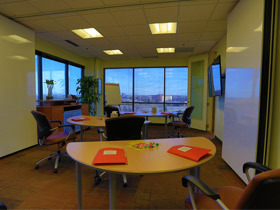 In 2005, a group of Collaborative Professionals, led by Ron Ousky and Amy Jensen Wolff, decided to move ahead with their dream of bringing many Collaborative Professionals together in the same suite. Visit the Collaborative Alliance website for more information.